As we get back into the routine of taking outfit pictures (we seriously dropped the ball for the first month or so of summer) we have enjoyed exploring our new little neighborhood. It doesn't have the best first impression but as you start to look closer you notice it's little charms- the brick roads, the friendly neighbors, the cute little houses. We are really starting to love it here. 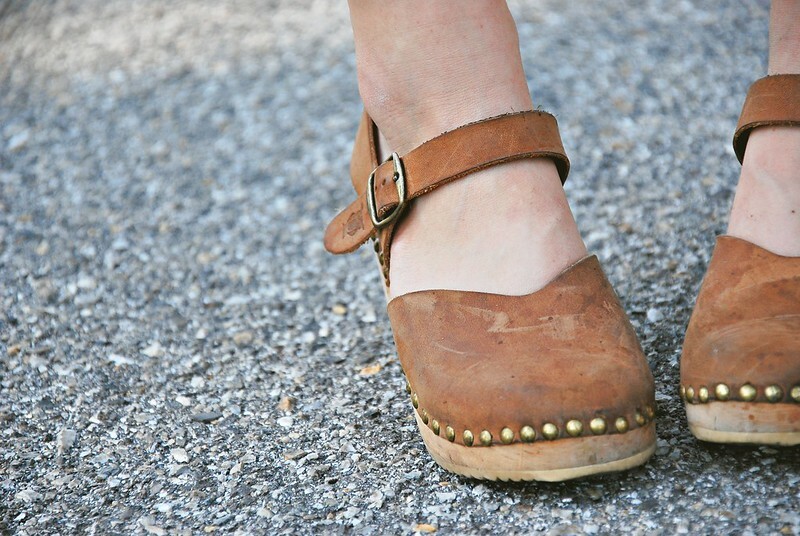 What are your favorite shoes in the summer time? 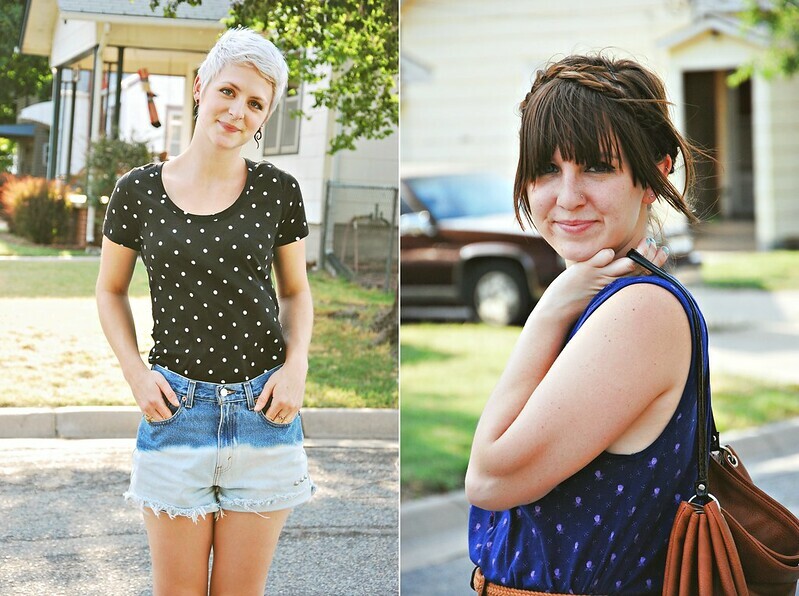 wow both that polka dot top and print dress are gorgeous!! 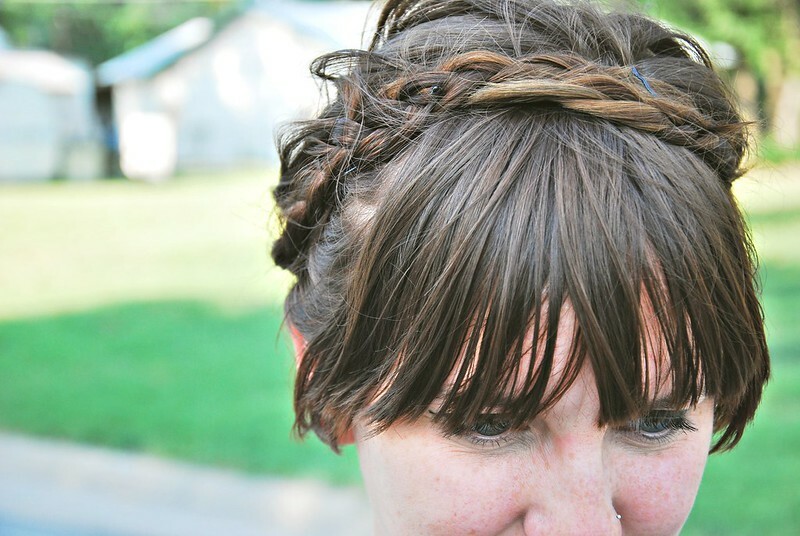 :) also, amazing hairstyle for Summer! i just love it all. erin, your shoes are great, and i love your hair, leah. 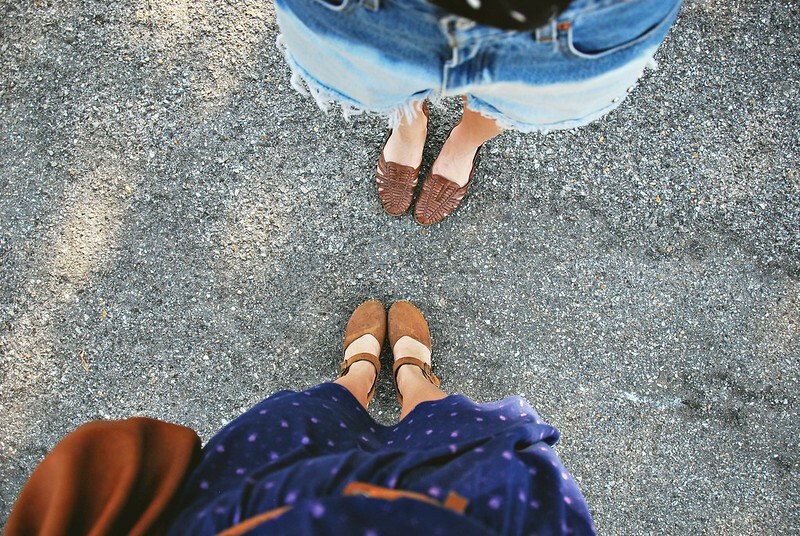 My favorite shoes are my sandals. I've had them for 4 years and since my dad is a cobbler he's fixed them every summer since buying them. I just can't bring myself to buy a new pair! 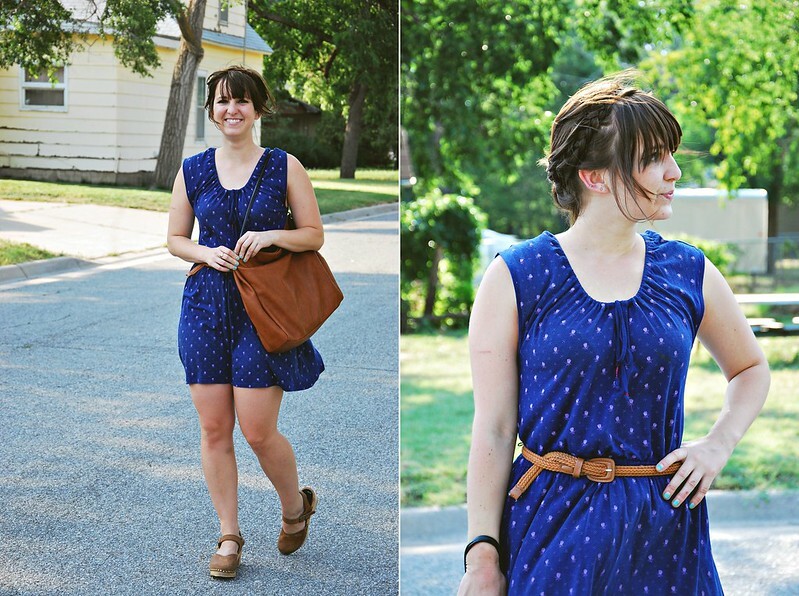 Oh my goodness, I did the same thing- dropped the ball on outfit posts for the first month of the Summer... Whoops! I too am just getting back into routine. Why was June so hard when it comes to outfit posts? haha!